Korean singing and acting sensation Son Dam-bi shows off her style in SBS drama Mrs. Cop 2 with a Builford wax canvas jacket! Korean celebrity style is always worth keeping an eye on, with the music and drama industry always bringing something new. In Mrs. Cop 2, one of our favorite looks of Ms. Son was this military type jacket. It’s actually wax canvas, which is an unusual material for clothes. Normally, you find wax canvas in backpacks and outdoor equipment. Think Filson or Tanner Goods, something like that. Ms. Son’s wax canvas jacket is from Builford, a brand revitalizing and reinventing the material. You can always trust Korean celebrity style to find the cool brands like that! Actually, we’ve caught Builford in other dramas. The company designing and producing Builford calls Korea home, so that’s perhaps why. Still, the brand has a unique luxury vintage style. It’s easy to see why it’s become part of the Korean celebrity style. Most of the other stars go with Builford backpacks though, while Ms. Son absolutely rocks this jacket. The wax canvas is the perfect weight for spring and fall, so it’s getting to the exact time of year for this jacket. Like its bags, the jacket takes inspiration from outdoors and vintage styles. The jacket is a bit like a bomber jacket, a little like a hunter jacket, and a little like a military jacket. And in the end, it’s like none of them, and carries off its own charm. It works very well for Ms. Son’s badass character, and gives her a no-nonsense appearance. It gives her style, but doesn’t distract from her work – here, she leads the charge solving a new case. You can find out more about Builford and the full collection of bags, backpacks, and jackets at www.builford.com and keep checking back for more Korean celebrity style! 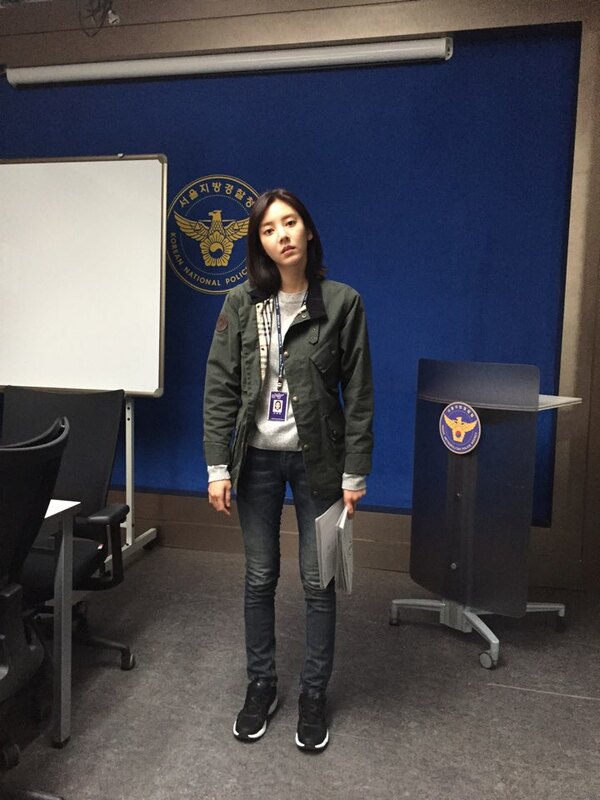 Share the post "Korean Celebrity Style: Son Dam-bi in Mrs. Cop 2"
Posted in 미분류 and tagged casual jacket, korean celebrity brand, korean celebrity style, kpop style, son dam-bi, spring jacket, wax canvas jackets, waxwear. Bookmark the permalink.